Wouldn't you like a high quality website, custom-designed for your dog breeding business? One YOU can easily maintain and update? Dog Breeders and Dog Kennels. Updating show results, seconds after they are announced; inserting video of YOUR dog winning on your website from anywhere in the world! Easily managing your dogs from breeding announcement to litter to whelping to youth to adult and stud. All with a click of a button, while keeping the complete pedigree intact. Getting well qualified web traffic to your site, automatically; the more people inquiring about your dogs, the more choice YOU have in matching your dogs to the right families. Great Dog Breeder Websites System. Great Dog Breeder Websites are the first and only website system designed from the ground up for Dog Breeders. We've done all the techie stuff, so all you can focus on running your kennel instead of learning HTML. We specialize in helping people who wish to expand their ethical dog breeding hobby into a real thriving business so you can place your quality puppies into new loving homes. And if you already have a business, we help by giving you a professional look and feel that will show your bona fides in relation to the premium prices you charge for your premium pups. Most breeder websites fail because the kennel owner is always waiting on someone who created the site to make updates which either takes forever or doesn't happen at all. Whether it is a family member or friend, making frequent updates as you should be doing can often go undone because of these people not being available, or because your website is not a priority to them. The Great Dog Breeder Website is so easy to update yourself, you won't need a third party. You will love how the sites work. We’ve built our sites to be search engine optimized from the ground up to help you get found easily. 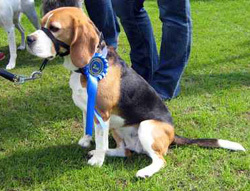 You can create full Pedigrees for every dog, add photos, news, awards, videos, blogs, etc. If you already have a blog, we will feed it directly into your site, as well as connect up all your Facebook, Twitter, LinkedIn, and all your social networks for people to add or "Like" you quickly and easily. Best of all, you can update your site 24/7 when its convenient for you and never have to have an outdated site again that makes you look unprofessional and turns off potential customers. I want to claim my Great Dog Breeder Website NOW! 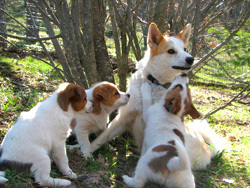 "Before I had my Great Dog Breeder Website, my old site was extremely hard to keep updated. I had no way to put together pedigrees, no way to keep track of my dogs, how they were doing in shows. Every time I did it, it was just very tedious, very time consuming. Now, with WebSite Builder, it just saves so much time. Very easy. If a dog breeder really has a chance to look at how WebSite Builder works, I just can't imagine how people wouldn't love it." To download: PC: ALT-click lC: Option-click link. Webepreneur is set up so you can easily add, edit, and remove content all on your own. 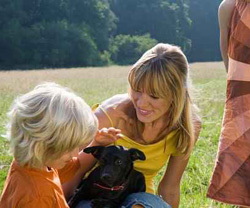 Each dog's complete pedigree is easily added with our simple and easy pedigree automation system. All your Males, Females, Youth, etc. are easily seperated and shown on their own pages. Get Private Access to your website, allowing you to update your site in seconds! and your website will be too. No more paying per page! Easily add as many pages as you want! Access to other Dog Breeder members to help make the most of internet marketing. 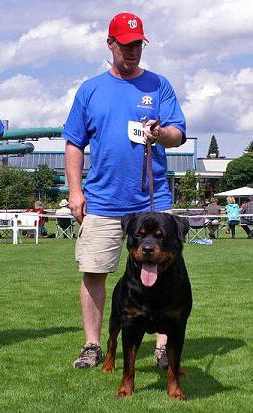 As a Great Dog Breeder Website member, you get access to free regular website training seminars. Our Weberpeneur Tips & Tricks feature is a great online guide for using all of Webepreneur's tools. As long as you are a Great Dog Breeder Website member, hosting is free! Affiliate websites and programs to earn you passive income. Easily add news and features about your kennel and other activities with your own easy to use, built-in blogging system. Easily add content from other websites or RSS news feeds so that your site will constantly rotate with new information. Easily upload and sell your personal products on your own website and have them link to your PayPal account or other add-on Shopping Cart system! Easy to update calendar that notifies viewers about important upcoming dates and events. Do you face these challenges in YOUR kennel? "Great breeders care about the customers who buy their puppies. They try always to be sure the right puppy goes to the right home." "My greatest frustration as a dog breeder is not being able to make my website reach out to everyone." "The big secret about dog breeders that most buyers don't know is the hard work and expense that goes into breeding dogs. There is a lot of love of the job. I am sure a lot of buyers have no idea of all the hard work and effort a good breeder puts into the raising of his/her litter." "My greatest frustration is being able to get my website updated and for the search engines to find it!" Almost ALL of your prospects are going to go to your website for more information. If it looks cheesy, if it's poorly designed or outdated, they move on. In most cases, this happens in 58 seconds. NO matter if you are the best breeder in the country, your website is the thing a prospect will judge you by. If you lost them at 58 seconds, you lost them FOREVER. They will never find out anything more about your kennel and your dogs because they are long gone. Great Dog Breeder Websites allows you to build a High Quality, professional site, optimized for the dog breeding business. We did all the techie stuff so you don't have to.